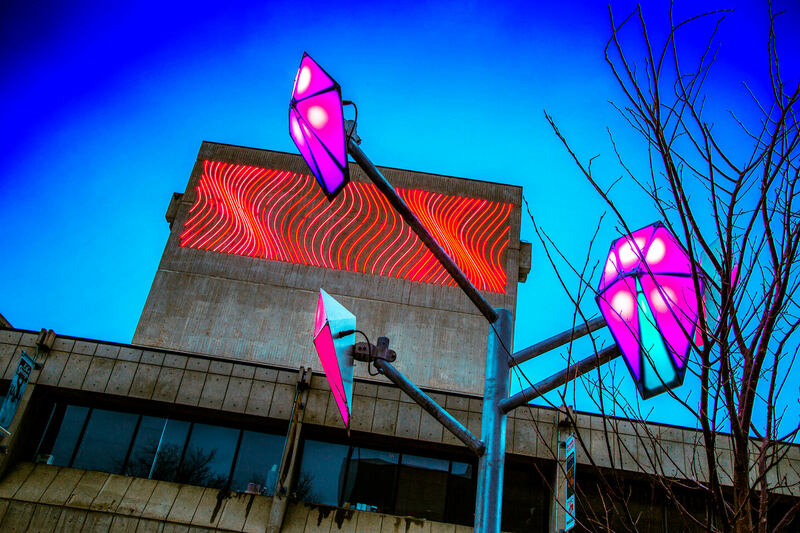 A multimedia installation inhabiting local legend suggesting that if one whistles auroras get brighter. 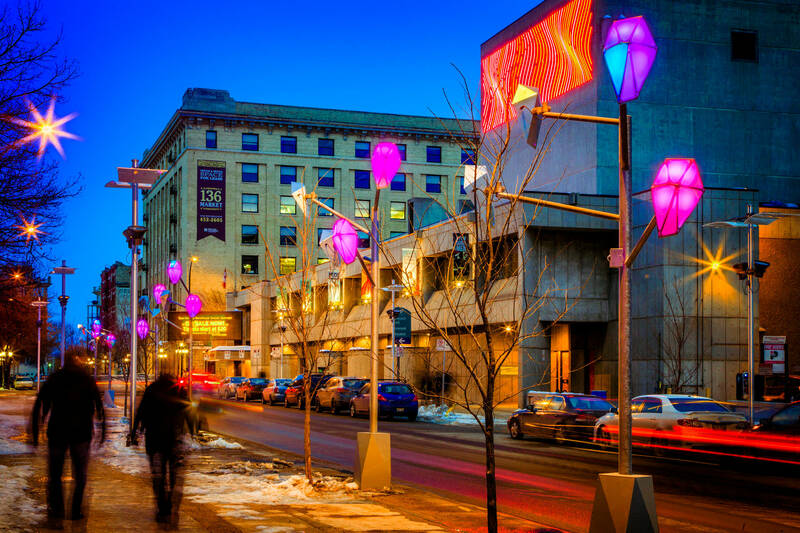 In 2013, the City of Winnipeg invited us to join them in an effort to activate their downtown cultural district by creating a permanent urban installation. 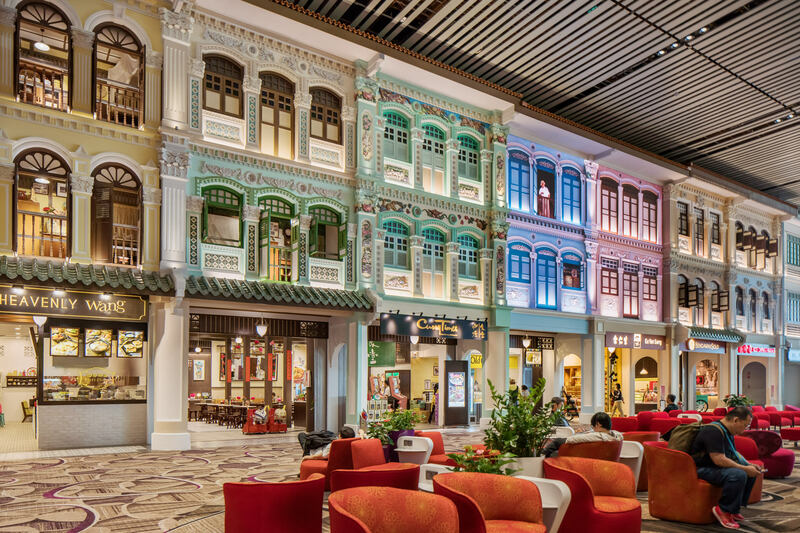 The goal was to bring residents out of their homes to experience of their city. 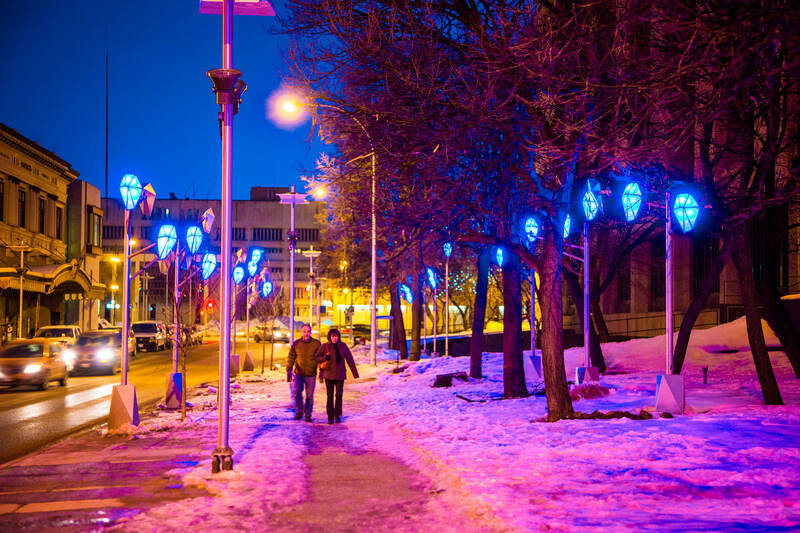 In considering this project, we encountered a number of challenges: not only does Winnipeg face harsh winters, nights are exceptionally long through the colder months making the climate a potential obstacle in bringing visitors downtown to enjoy the installation. During our research phase, we dug deep into the stories and history of the city. Along the way we came across a local legend suggesting that if one whistles, the Northern Lights will glow brighter. A rare and spectacular phenomenon, we were inspired to capture some of the magic of this legend and natural wonder. 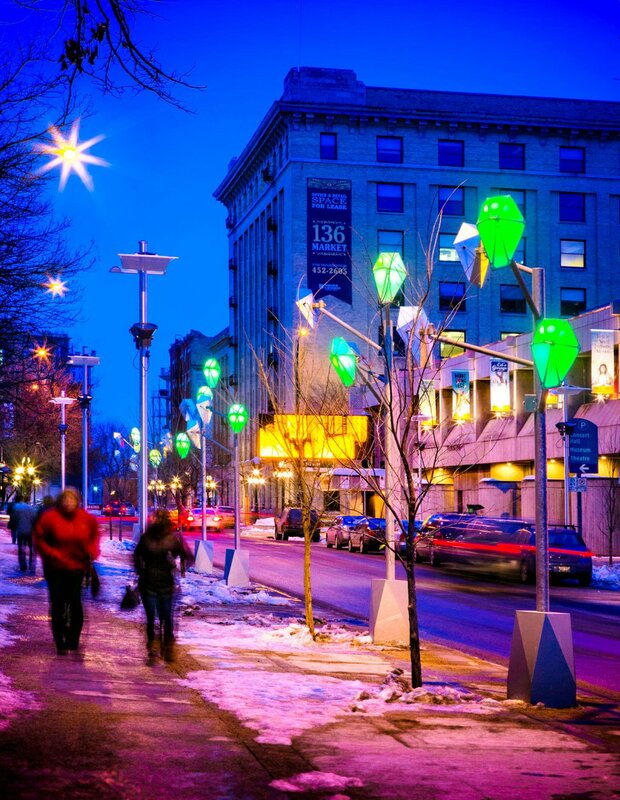 In order to bring these dancing flashes of colourful light to an experience of downtown Winnipeg, we created multi-coloured prismatic lamps that line downtown sidewalks. At once artful and whimsical, they are responsive to the nearby sounds of passerby. 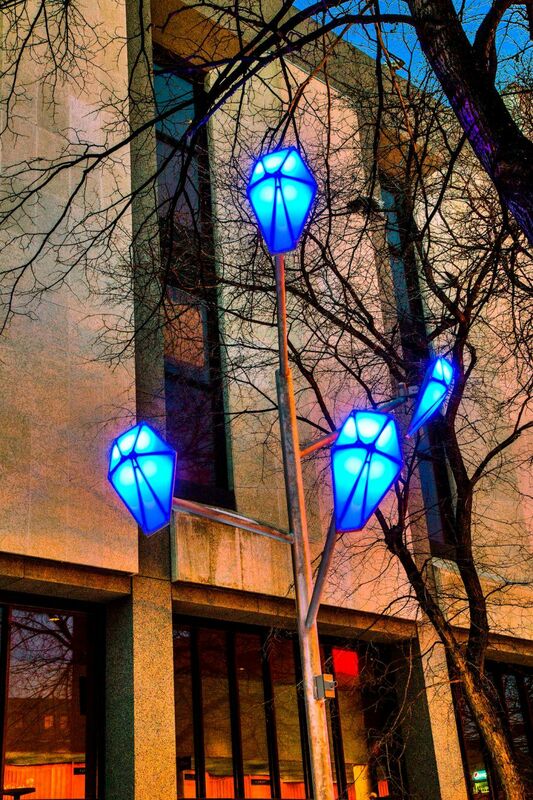 Whistle a tune, and they flood the cityscape around you with light, splashing snowy sidewalks with vibrant colour. 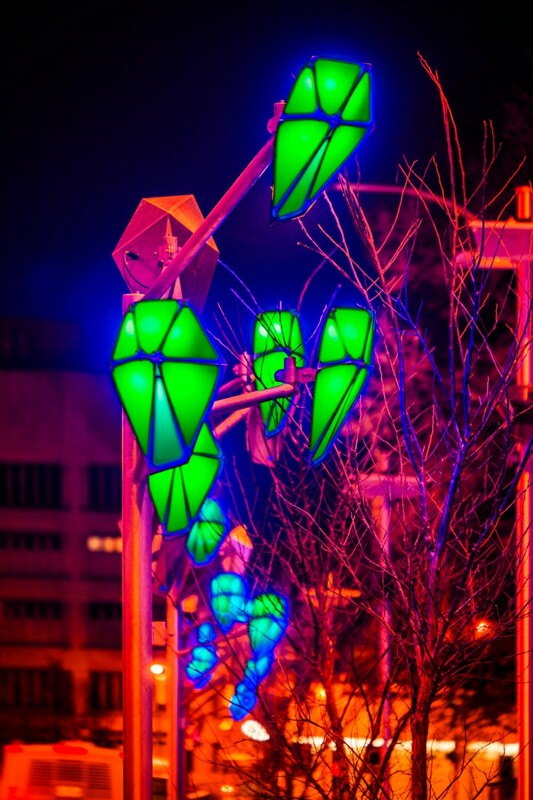 The installation, which is encountered by walking through the area, is perfect for wintry nights when the only way to stay warm is to keep moving. 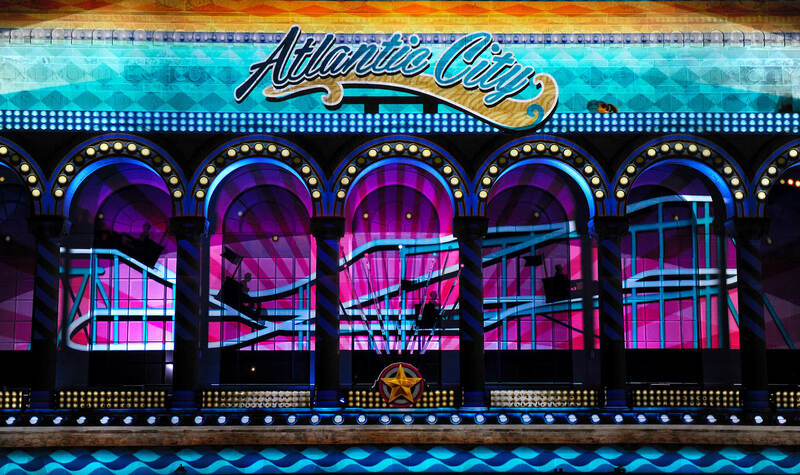 As cities venture toward creative solutions to bring life to their cultural centers, the nighttime becomes a valuable canvas for interactive multimedia; light casts a welcoming beam outward, calling visitors in. 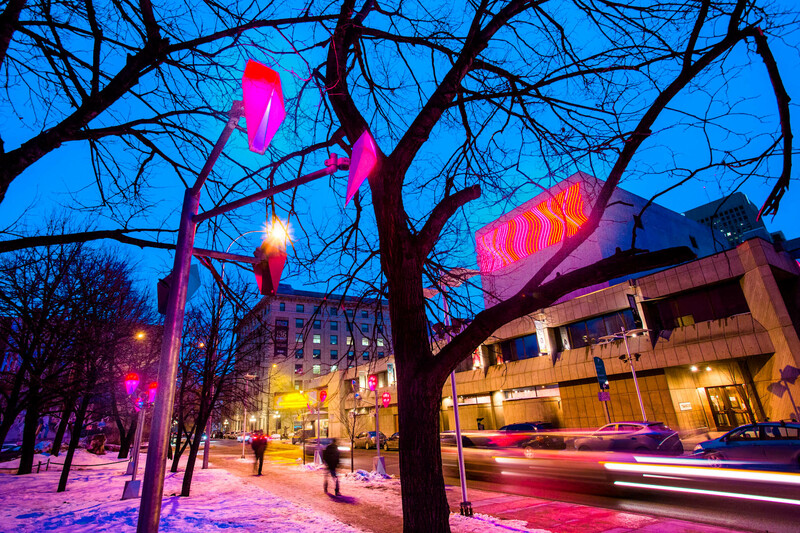 More than a stand-alone interactive installation, Winnipeg’s Listening Lights complement other cultural and place-making initiatives by visually tying the area together from one block to the next with an interactive and playful signature.